If you want to save Health and Activity data from your iOS device or Apple Watch, you need to encrypt your backup: Select the box called Encrypt [device] backup and create a memorable password.Write down your password and store it somewhere safe, because there’s no way to recover your iTunes backups without this password. 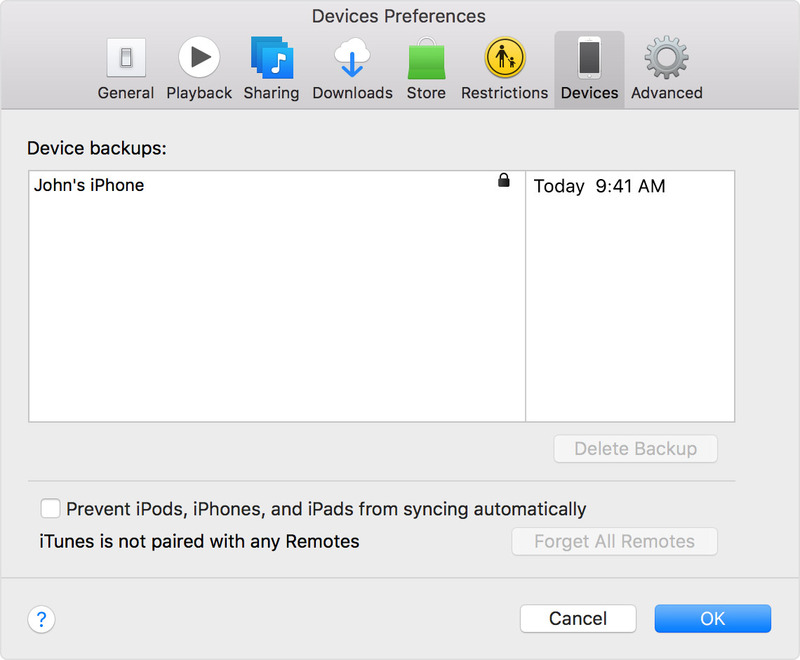 After the process ends, you can see if your backup finished successfully in iTunes Preferences > Devices. (If you’re using iTunes for Windows, choose Edit > Devices from the menu bar at the top of the iTunes window.) You should see the name of your device with the date and time that iTunes created the backup. 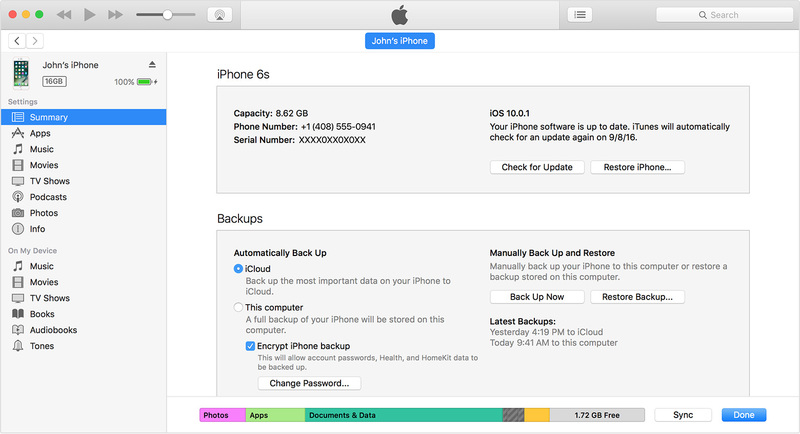 If you encrypted your backup, you should also see beside the name of your device.